While building a studio practice, I have also undertaken a series of curatorial projects across several exhibition venues. 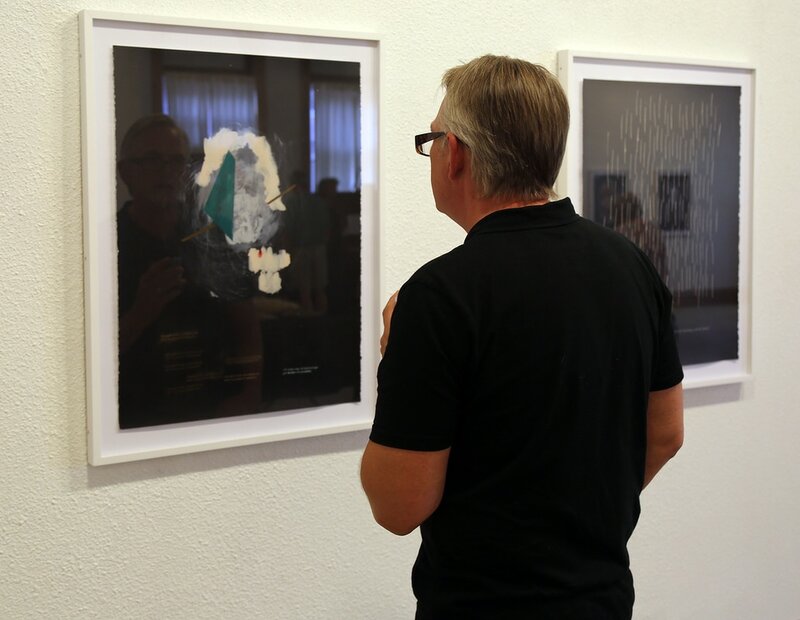 As the Director of the Nemeth Art Center in Park Rapids, MN, the Rourke Art Museum in Moorhead, MN and the Galleries at Indiana State University, I have been fortunate to have a platform for presenting and interpreting the work of other artists. I am currently the curator of my Museum of Fine Arts at Florida State University. For more information about current curatorial projects, visit the MoFA at FSU. A visual image is an illusory language to convey specific meaning. Balancing what is communicated clearly and what is left to the imagination of the viewer is one of the primary problems facing any artist. The work presented in OpenType showcased how direct, written communication can influence interpretation of and interaction with an artwork. 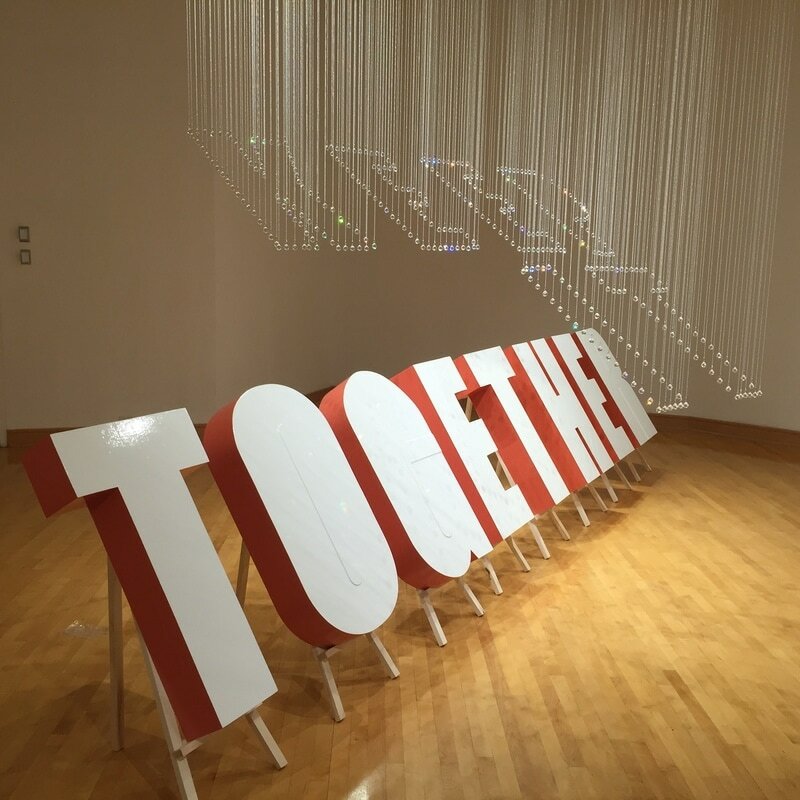 Featuring Buzz Spector, Katie Hargrave and Brett Hunter, Mark Booth, Lee Marchalonis, and Chris Walla, this exhibition which I curated in the winter of 2016 featured a range of approaches to utilizing type. For my information, download the exhibition catalog below. Artists have long served as amplifiers of labor movements. By guiding public opinion through imagery, defining goals and objectives through graphic design, and sharing narratives through documentation of the plight of laborers, artists have advanced workers rights across the globe. 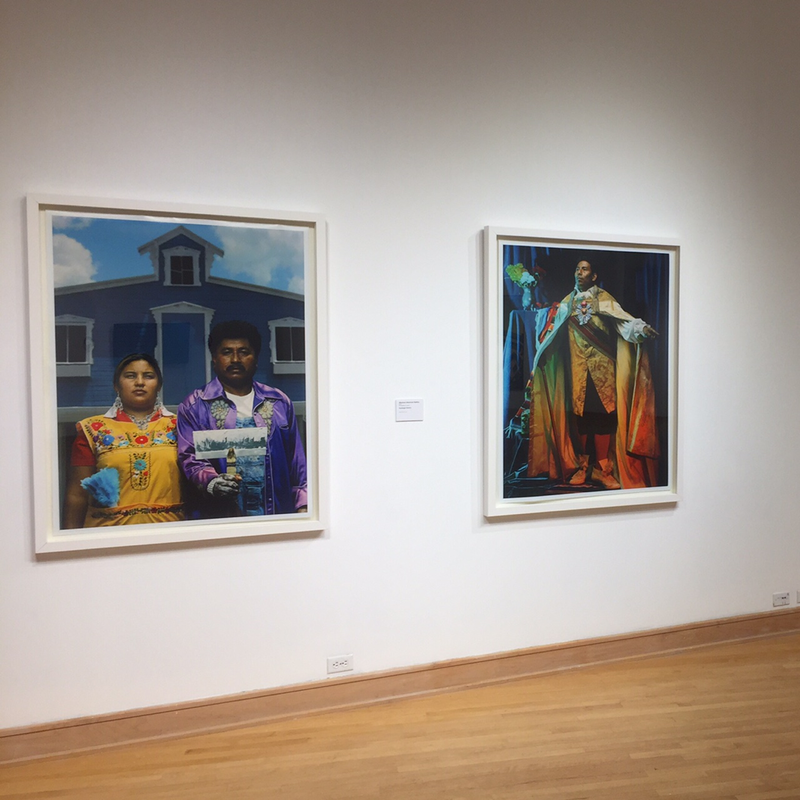 This exhibition featured contemporary work by the collective Studio REV, ephemera and documentation from The Gulf Labor Artist Coalition, photographs by Santiago Forero, and selections from the Works Progress Administration archive at Indiana State University. In the summer of 2014, I curated an exhibition by Northern Minnesota based artist Amber Fletschock. The show featured this paper installation, a 12' x 12' x 12' hanging cube constructed of cut paper. The peculiarities of the Art Center enabled us to open the windows, the gentle breeze creating constant movement through the installation. The rustling strips of paper, cut from magazine photos of garden flora and fauna, contrasted interior and exterior and confused inside and outside. 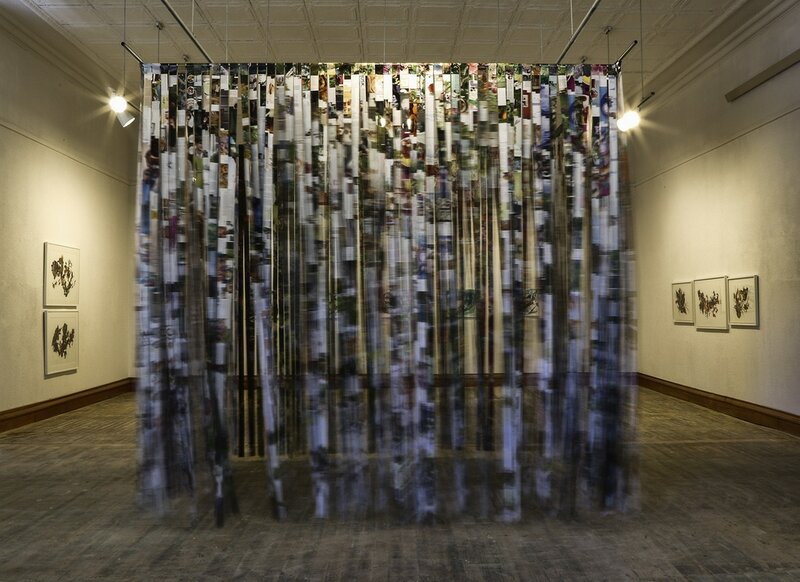 Minneapolis based artist and curator Caroline Kent uses paint and collage to create nuanced narrative based work. 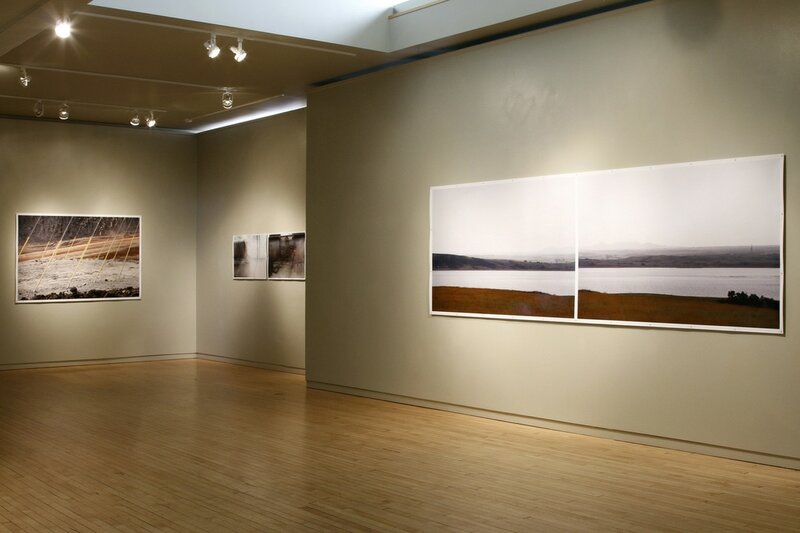 In her exhibition at the Nemeth Art Center, she debuted a series of images exploring her upbringing in rural Illinois. Utilizing pop culture images, text, and figurative painting, the images played with representation, abstraction, and the distances between what is told to us directly by the artist and what the viewer creates through their own interpretation. In the summer of 2013, German artist Andy Scholz traveled to the Bakken Oil Field in western North Dakota. Shooting hundreds of images, Scholz saw the development there as only an outsider could - as aesthetic inspiration. By finding moments of symmetry, geometric alignment, and tricks of color and atmosphere, he showed the region devoid of humanity, which in turn emphasized the loneliness and harshness of western North Dakota. In the spring of 2014, the state of Minnesota held the Governor's Fishing Opener in Park Rapids. In the months leading up to this event, working with artist Jill Odegaard, the Nemeth Art Center led a community art project to create the largest hand-woven welcome mat. With a team of volunteers and local artists, I helped thousands of community members work on the project in churches, 4H lodges, the local library, the grocery store, and in the living rooms of their neighbors. 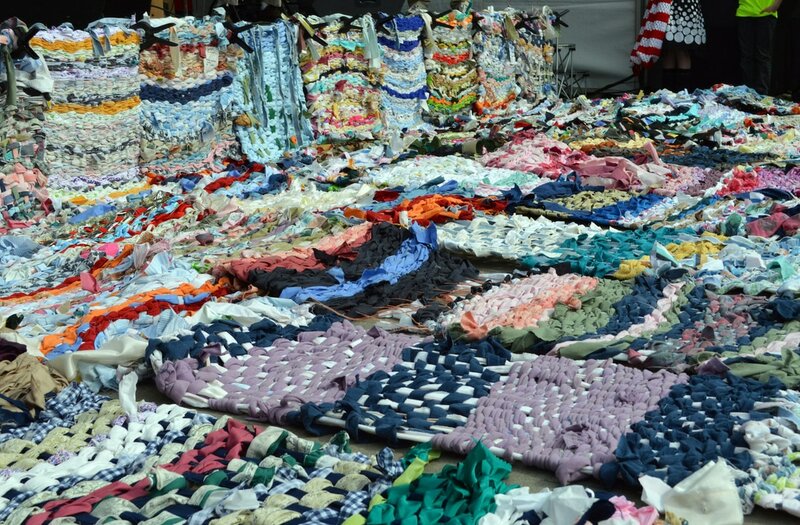 Hundreds of rugs were woven from recycled textiles collected by a local non-profit. 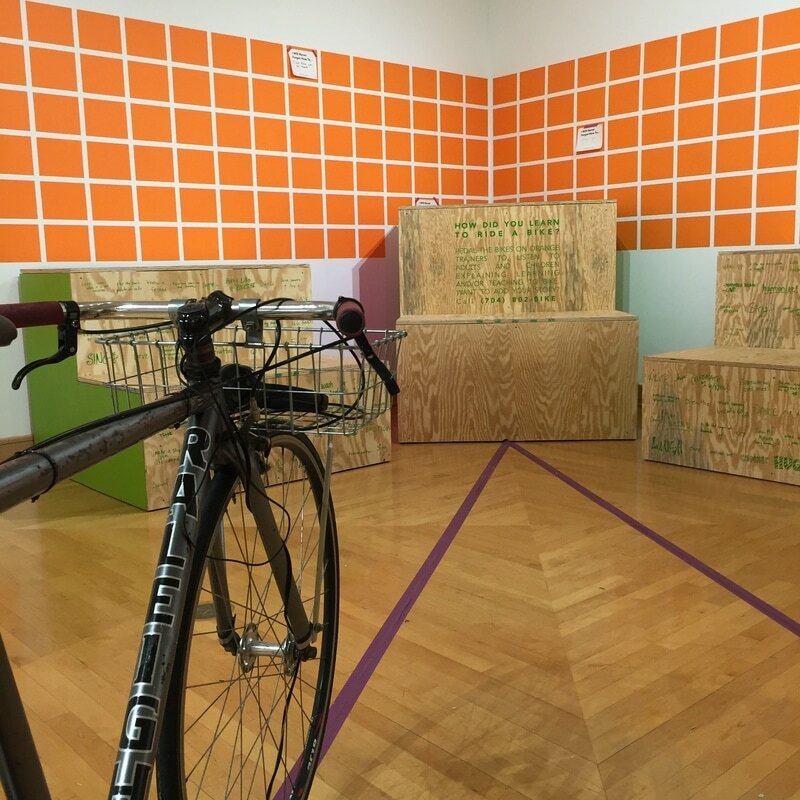 The project then traveled to the Plains Art Museum in Fargo and the Allentown Art Museum in Pennsylvania.